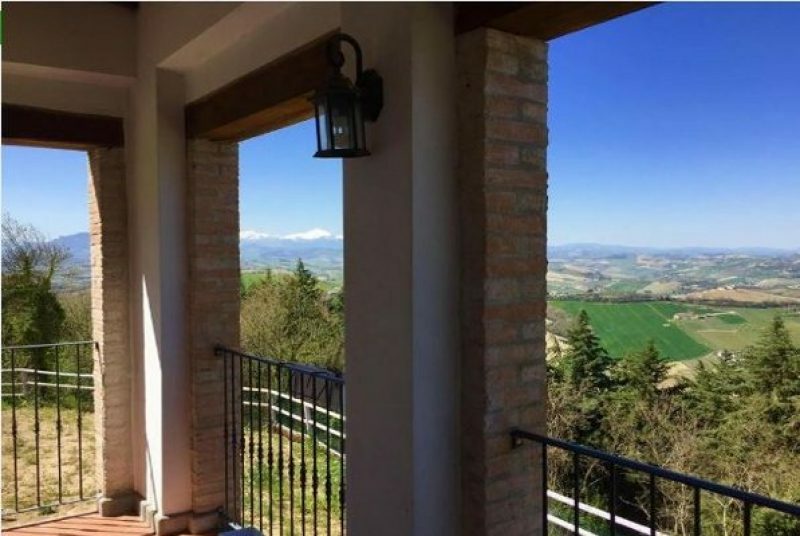 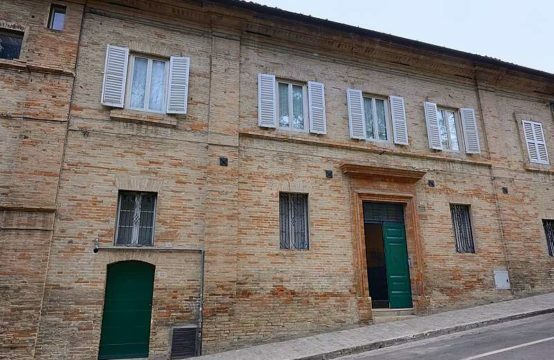 Restored house for sale in Le Marche, 1 km from Ripatransone and 11 km from Grottammare and the beach. 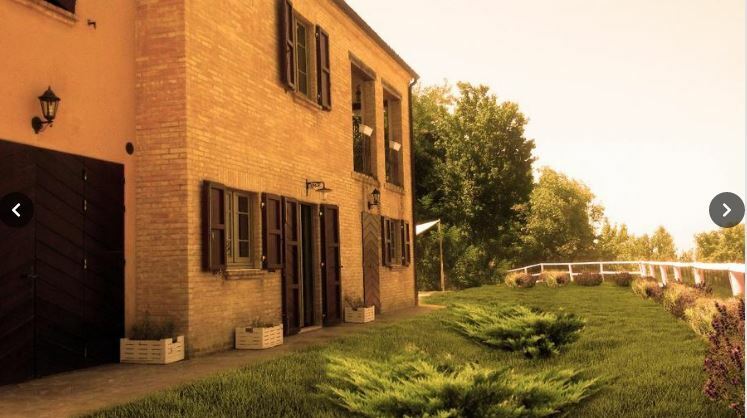 It’s about 45 minutes from Ancona airport and Pescara airport. This wonderful farmhouse, set in an oasis of absolute quiet, just one km from the center of Ripatransone, renowned town on the Marche hills. 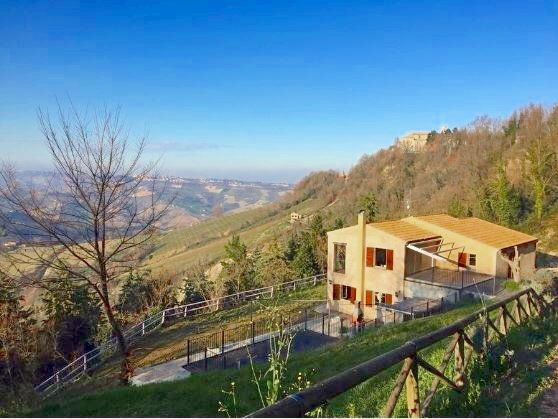 The structure, surrounded by 5 Ha of land owned, stands on a natural terrace from which one can admire wonderful panorama, one of a kind. 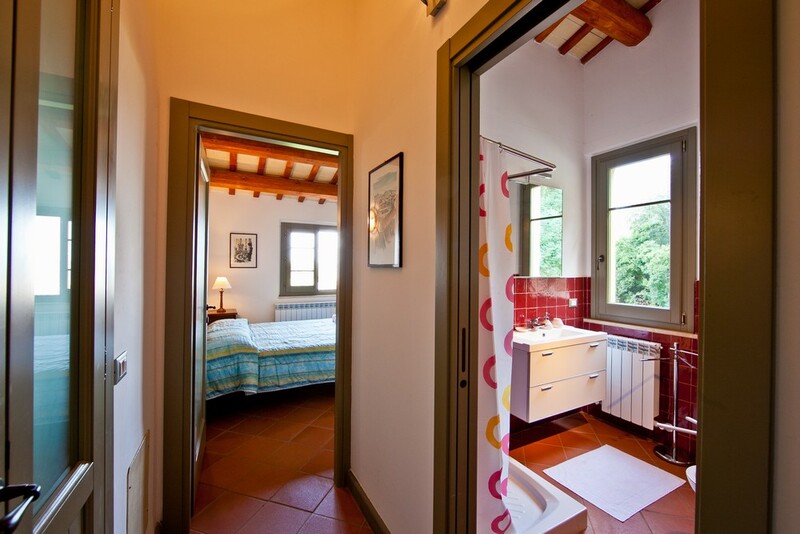 the first floor is reserved to the other apartment and the three rooms double rooms, all with private bathroom. This totally restored farmhhouse has many green corners and equipped terraces as well as loggias of the Marche and wooden pergolas, a beautiful and panoramic solarium with porphyry staircase, the solar shower and a nice above-ground pool. 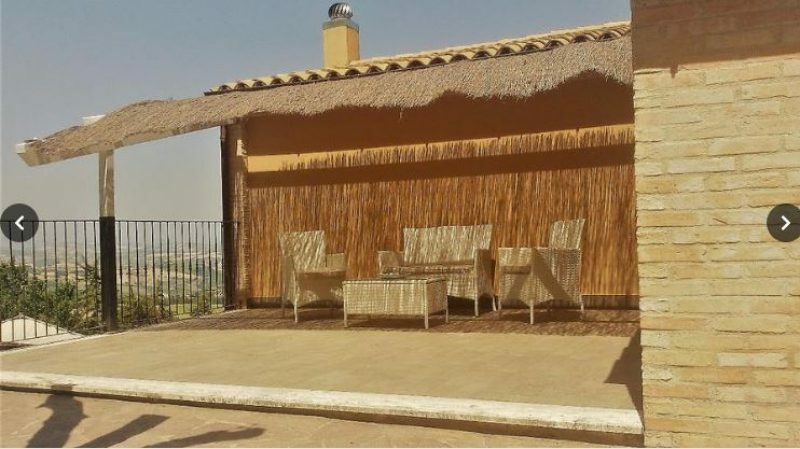 The pool is made of a harmonious combination of stone, wood and tuff, all wrapped in a perimeter hedge formed by laurel trees. Standard systems, anti-seismic properties and thermal and acoustic insulation at the highest levels. 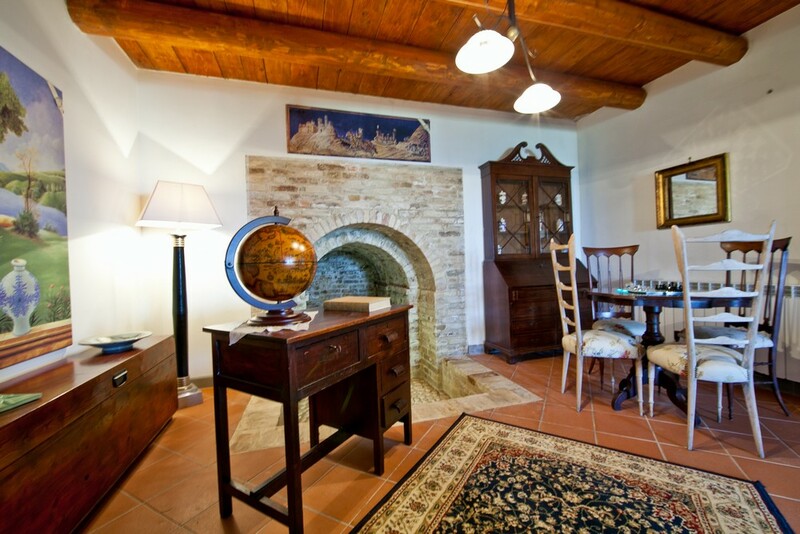 Currently this property has been operating for about seven years as a holiday home. 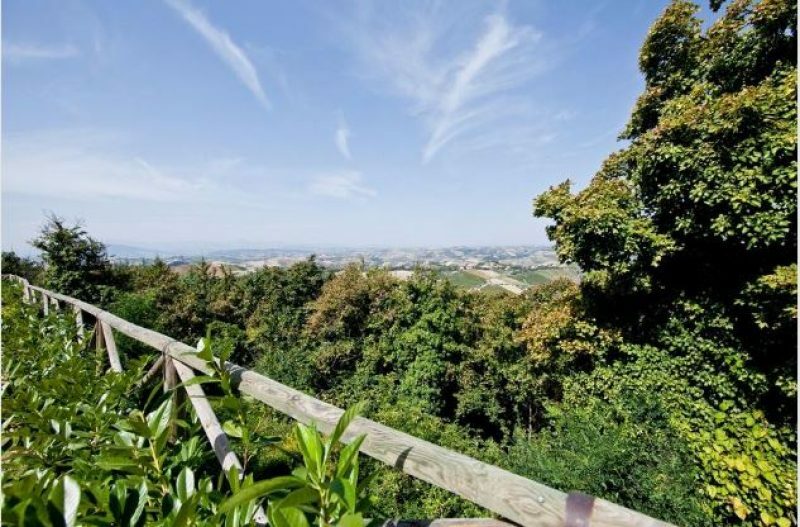 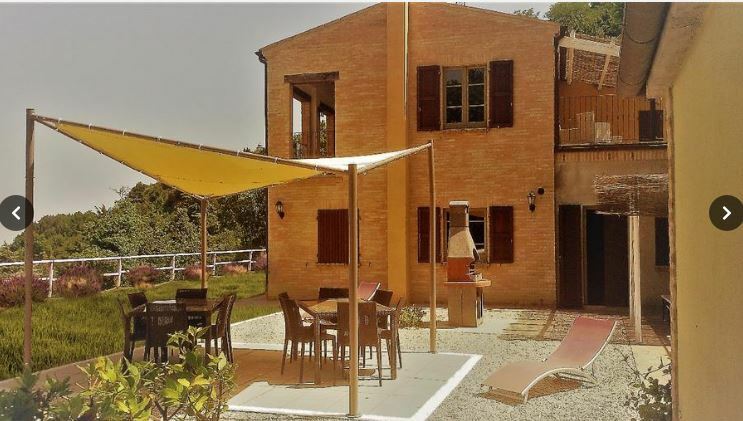 This property is the ideal purchase for any need, for those looking for an home to live in, for those who want to set up an Agriturismo and also for those who simply want to use it as an investment. 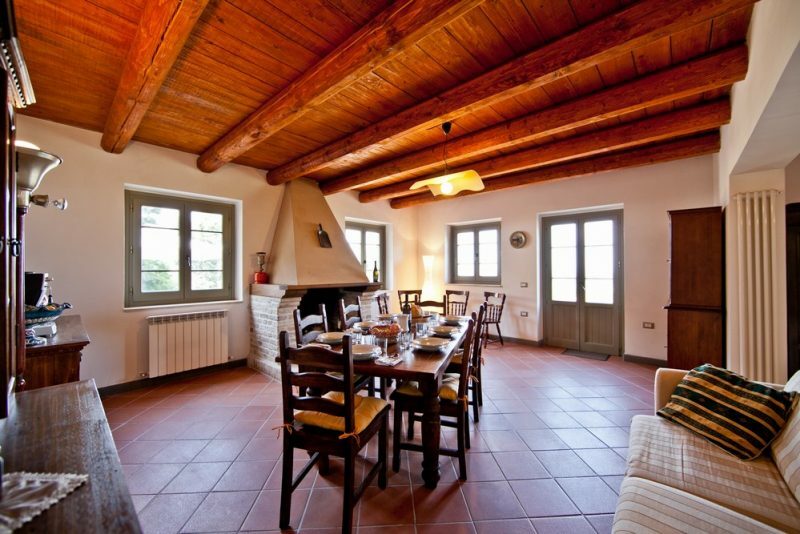 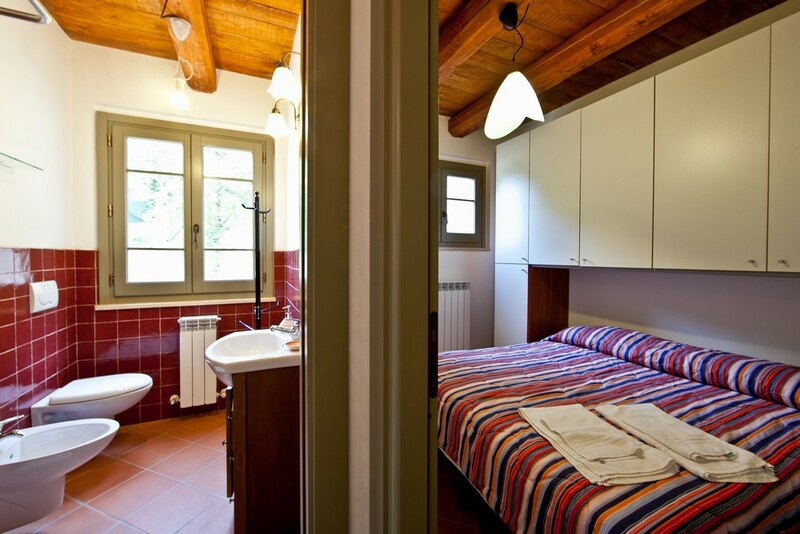 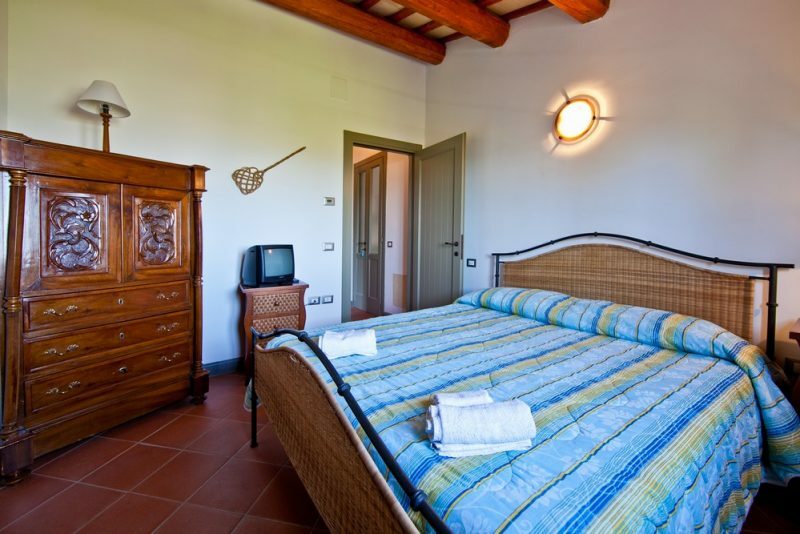 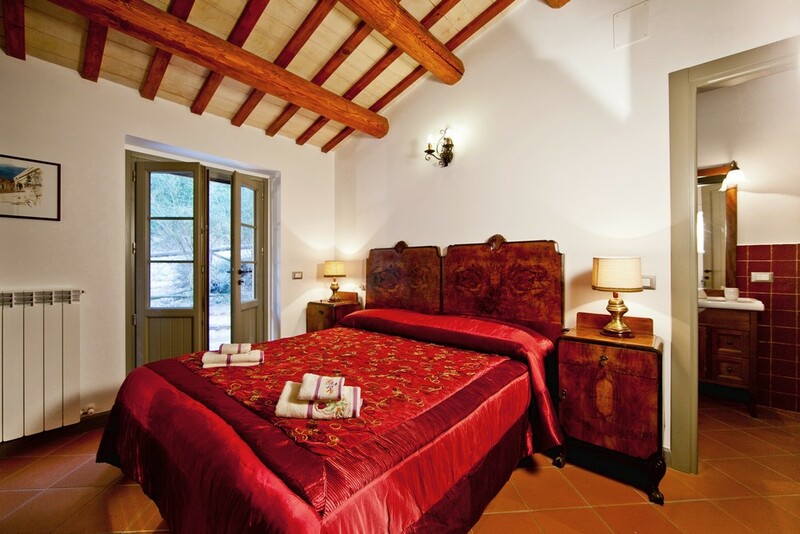 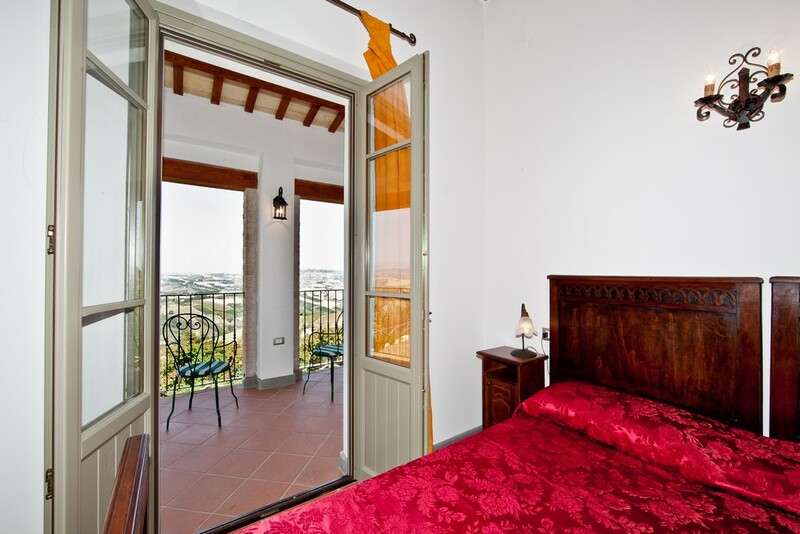 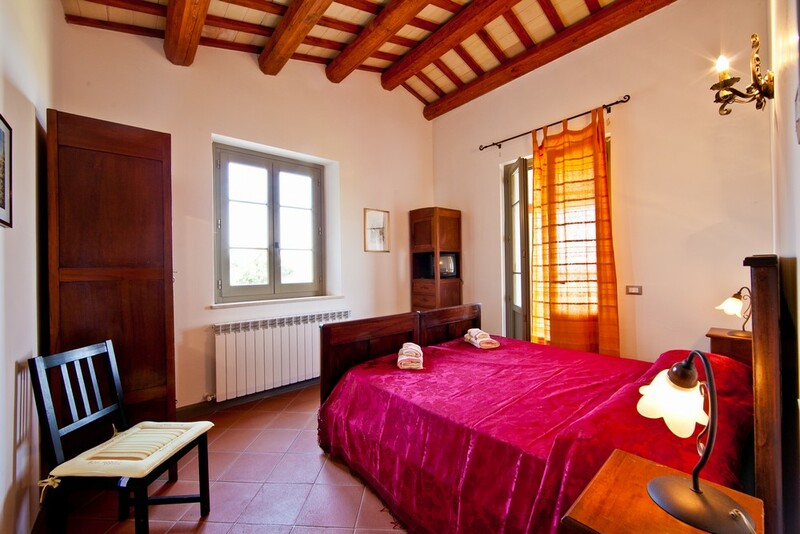 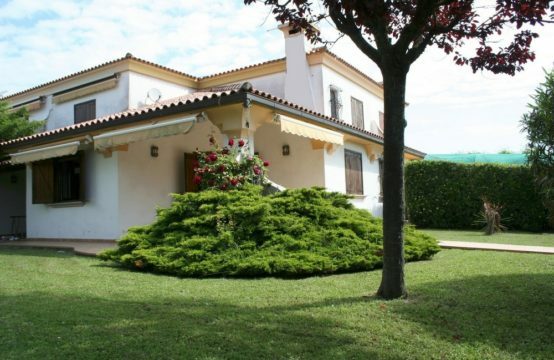 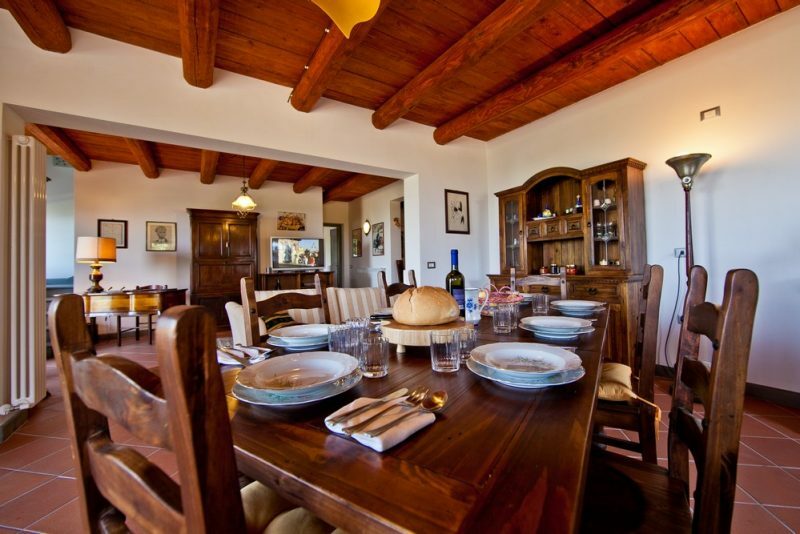 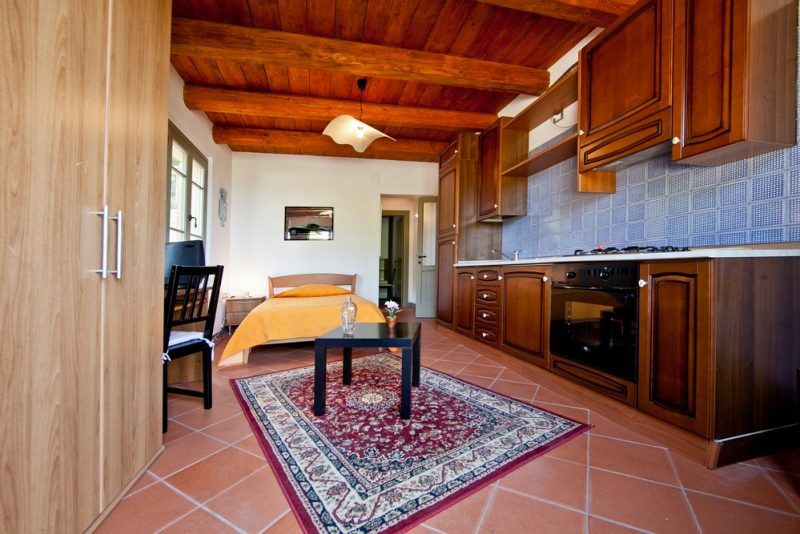 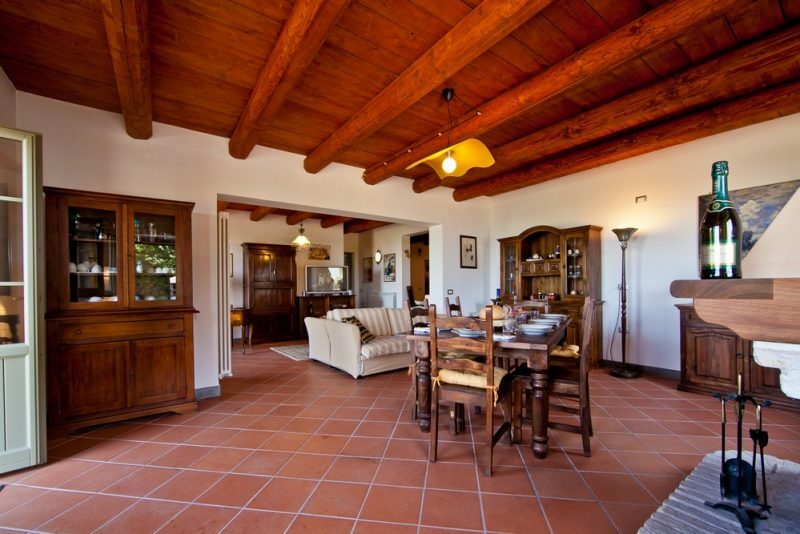 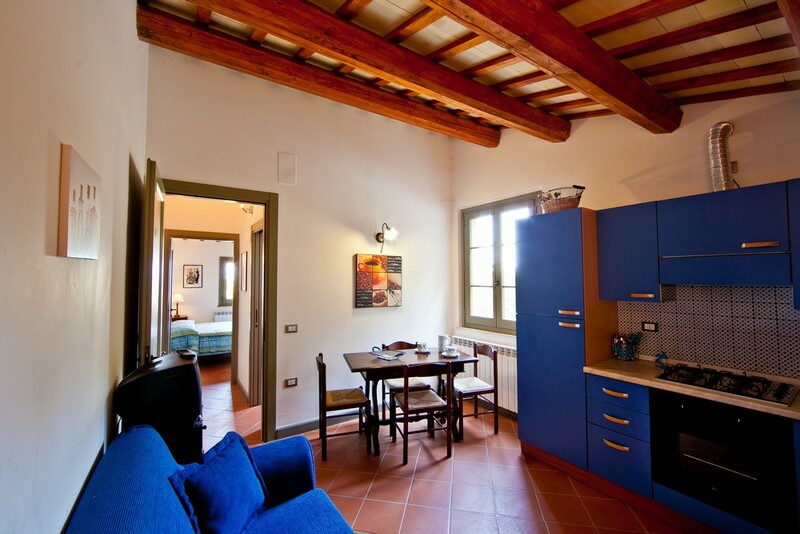 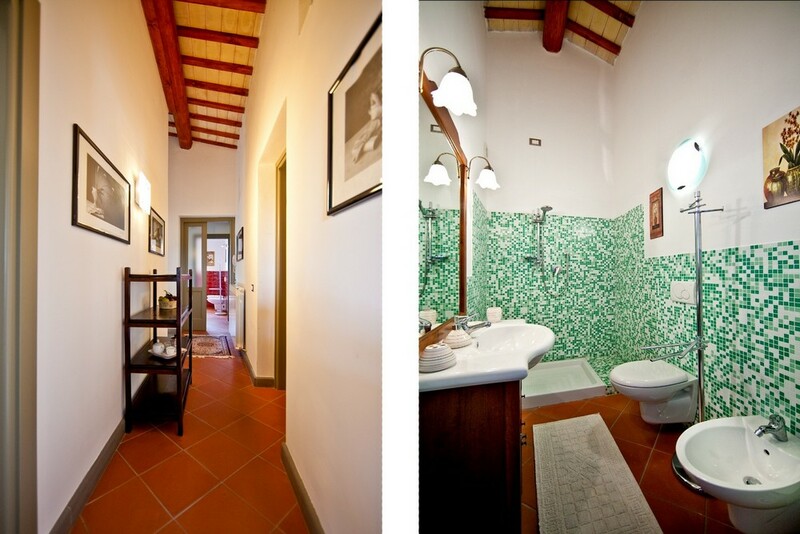 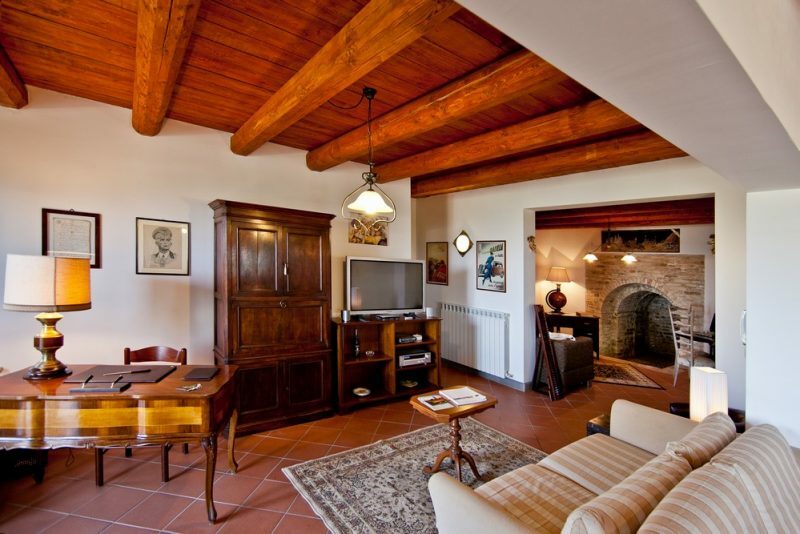 The property is suitable for a family home ,for a holiday home, o B&B/Agriturismo activity.